Sally Halela wins Governor's Service Award! Meet Kyle! Kyle is a "Renaissance man," who speaks three languages and is active in many non-profit organizations. He serves as one of RASKC’s most impressive foster volunteers, caring for a number of our pit-bull terriers, pit mixes, and other dogs. Since he started in 2013, Kyle has donated more than 1,100 foster hours to RASKC. When Foster Coordinator Lori Mason nominated Kyle for this honor, she wrote, “Kyle has fostered many dogs with behavioral issues- mostly Pits. He has turned them around to be suited for society! And I am pretty sure none of his dogs have been returned for behavior issues." Lori also said, “Kyle recently took one of our dogs through two sets of obedience trainings out of his own pocket. The dog chewed siding off of his houses, and she destroyed seven leashes. And Kyle still comes back for more of our dogs. He is amazing with them.” Kyle recently took foster Diesel (pictured) to work. Kyle and his co-workers discovered that the Diesel is a mellow office dog. An interview with Kyle can be found on our website and blog. Thank you, Kyle! The Sate of Washington is honoring Sally Halela with the Governor's Award - Animal Welfare! Earlier this year RASKC had nominated Sally both for this award and for the national Points of Light recognition. Along with other award winners from throughout the state, Sally will be honored at a reception at the Governor's mansion in Olympia next month. She will also be featured at a pre-game ceremony at the Seattle Mariners' Salute to Volunteers Night on Monday, April 16. All RASKC volunteers are invited to the game; see details below. The Auburn Valley Humane Society also honored Sally with an award earlier this year for her incredible work in leading the South County Cats organization. 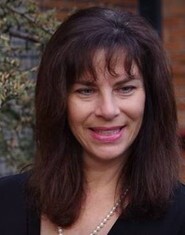 In 2017, as she has done for the past 11 years, Sally led the way for South County Cats in: (a) fundraising to provide financial assistance for cat spay/neuter surgeries, (b) arranging for foster care for under-socialized cats and kittens to increase their adoptability, (c) assisting with the trap-neuter-return of feral cats in south King County, and (d) educating the public about feral cats and how community members can help these outdoors cats coexist in our environment. Sally manages the daily operations of South County Cats, which includes coordinating more than 40 active volunteers, emails, phone calls, recordkeeping, networking, and providing great deal of cat-care and cat-related transportation. Last year she transported hundreds of cats to spay/neuter appointments and then back to their caretakers. She also delivered cat food to house-bound caretakers in need. Sally contributed over 2,000 hours to South County Cats in 2017. In fact, she has donated a comparable amount of time each year from 2006- 2017. Her leadership last year resulted in spay/neuter surgeries for over 33 dogs and over 1,500 cats. Her work also resulted in over 100 animals receiving microchips. Microchips provide essential data for lost pets being returned to their owners. Sally’s enormous dedication, phenomenal skills, and hard work have contributed significantly to South County Cats’ mission of reducing euthanasia rates at local shelters. In 2010, RASKC’s live release rate was close to 52%. In 2017 RASKC’s live-release rate was about 95%, which is amazing for a government “open admissions” shelter. The work of Sally Halela and South County Cats helped contribute to that remarkable improvement of more than 40%. Additionally Sally is a longtime volunteer for RASKC. She has been an incredible animal-welfare volunteer for over 30 years, also helping at MEOW Cat Rescue and Seattle Humane. Sally has also been volunteering for RASKC sometimes twice a month during 2013- 2017 to assist homeless RASKC cats temporarily residing at Covington Petco until they’re adopted. In 2017 Sally donated an additional 166 hours as a RASKC foster volunteer. She has been taking care of RASKC foster animals in her home since at least 2008. Sally was the catalyst for bringing Pasado Safe Haven’s mobile spay-station to south King County on a regular basis, as a partnership between RASKC, Pasado’s, and South County Cats. Sally Halela won the Governor's Award because of her stunning commitment, outstanding accomplishments, and the prodigious impact her service has made to alleviate the suffering of cats. When Lori Mason Foster Care Coordinator began the hospice-foster program in 2013, she didn't know what the response would be. Lori can now proudly say that she has placed 106 hospice pets in foster care so far. And she's aiming for many more this year. Lori highlights three cats for special mention- Pearl, Kiki, and Tigger. Before being placed in volunteer Valli Johansen's home in 2013, Pearl (pictured) had been waiting in a RASKC kennel for five months to be adopted. When Pearl was 16 years old, she needed to have one of her eyes removed. Pearl bounced back after surgery. Now at 18 years old, Pearl's health is declining significantly, but she nevertheless feels the love of her foster mom. 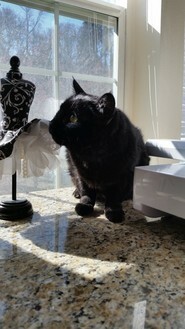 Black cat Kiki was placed in foster care in 2013 due to early kidney disease. She is now 15 years old, with care provided by volunteer Corinne Powley. In 2013 orange tabby Tigger was struggling with a painful back condition- spondylolysis, so she was placed in foster care with volunteer Kamryn Wills in 2013. Tigger was adopted to a new family the following year. Last year David Howerton fostered cat Felix, who had severe liver damage. David remembers that when Felix arrived, the cat could barely stand. The following summer David and Felix resided in a motor home for a few months at Mount Rainier. During that time Felix found the strength and agility to catch five mice on his own. The cat's final days, however, occurred last November. RASKC provides free food, medication, and veterinary care for all of our animals placed in foster homes. If you would like to care for a pet in what might be its last months (or years), contact Lori Mason. Social Media Volunteer: RASKC is looking for volunteers to help promote our adoptable pets on our various social channels, primarily Instagram. Looking for savvy social media volunteers who are well versed with Instagram. What is needed? A mobile device, Instagram account that is set up to be public, and a passion to take great pictures that help get the pets adopted into a forever home. To sign up, simply click here. Questions? Feel free to contact Lluvia Ellison-Morales, RASKC’s Communications & Community Outreach Administrator. The Seattle Mariners present a Salute to Volunteers Night at their game against the Houston Astros on Monday, April 16, at 7:10pm. This will include a pre-game ceremony honoring RASKC volunteer Sally Halela (see the article above) and other winners of the 2018 Governor's Service Award. Volunteers from many organizations throughout the state will be attending. If we confirm that at least 20 of our volunteers will be present, then RASKC's name will be displayed on the scoreboard following the fourth inning. Congratulations to Shelter Sergeants Kate Cataldo and Marcy Goldstone, who were recently promoted into their new positions! 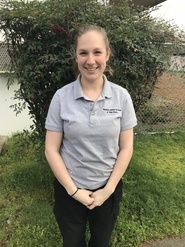 This month the eNews spotlight shines on Sergeant Kate, whom many volunteers knew when she was an Animal Care Technician. Tell us about yourself. I was born and raised here in the Seattle area. I have three pets of my own: two cats Lily and October, and a dog Apollo, a black Labrador retriever. My dog is pretty energetic, so I spent a lot of time outdoors with him, taking him hiking and throwing the tennis ball at different parks. I’ll be getting married this summer to my partner of 6 years! I love to curl up at home with a good book, my animals, and get caught up on TV shows. Why did you decide to work to help animals? I have always loved being around animals and from a very young age I wanted to work with them in some way. Life had other plans, and I graduated from the University of Washington with a Bachelor’s degree in Psychology, with every intention of going on to graduate school for therapy and counselling. But as I was getting to apply for schools I realized my heart just wasn’t into it and I began to look for animal related jobs. What did you do prior to coming to RASKC? I was a Certified Nursing Assistant for an in-home health company for about five years. I started working with dogs when a job opened up at the doggy daycare I sent my dog to. I worked there for about a year and a half. I helped to manage and run the daycare, and I taught puppy-training classes. What does your work for RASKC involve? I started work here as an Animal Care Technician which involved the daily cleaning, feeding, medicating, and behavior assessments of all the animals in the shelter as well as customer service in the afternoon. Now as Acting Sergeant, I am responsible for managing personnel, ordering supplies for the shelter, and overseeing the running of the shelter. I still help with customer service, with returning animals to their owners, doing adoptions, processing licenses, and issuing the fines and violations. Everything I do at the shelter I want it to be for the good of the animals we take care of. What is the best part about your job? I love getting to see the different breeds of dogs and cats that come into the shelter, as well as the other random and unique animals that come in. I’ve seen snakes, ferrets, a turtle, and a small flying squirrel once! I also love watching owners be reunited with their lost pets- my cat went missing once for 3 weeks, and I remember how overjoyed I was when I finally found her. I really fell in love with working with our sick and upper respiratory infection cats. It was so rewarding to see a cat that was incredibly sick weeks ago, turn around and recover and find a forever home! Please share a story about an experience with a great volunteer. There are so many! RASKC simply could not run the way it does without our volunteers. I am constantly amazed by the willingness and hard work of our volunteers- like when we have piles of dishes and laundry to do and a Shelter Helper will do nothing but that for their shift. Or the EMCC who come in and clean cat condos before they go to work. Hearing about how volunteers have been coming for years, or the Dog Walkers who will walk 10 or more dogs in the pouring rain or cold shows the dedication folks have to helping the animals in our care. Kitty Kat is a five year-old black-and-white domestic longhair (#A551407). He was described by his previous owner as affectionate and well-behaved. Kitty Kat’s personality color is red, as he is a spirited cat with a fun-loving personality. Kitty Kat likes to get attention on his own terms. He enjoys some petting but not too much. So it’s best to keep an eye out for signs that he needs time to himself. Because Kitty Kat can be sensitive with handling, he would do best in a cat-savvy home home without younger children. He may also do best in a home with no other pets. Kitty Kat is neutered, current on vaccinations and microchipped. His $30 adoption fee also includes a certificate for a free veterinary exam and an opt-in 30 days of free pet insurance through Trupanion. Thanks to volunteers Donna Tredway, Marc Whitely, Heather Whyatt, and Cynthia French for participating in the new Shelter Helper overview video (two minutes), created by Animal Care Technician Adam Winston. Seeking 80 volunteers for the Angel Fund: Volunteer Melissa Blake is organizing adult volunteers (at least 21 years old) to pour beer for 3-hour shifts (or a bit longer) at the Seattle International Beerfest on July 7-8. Volunteers are given free entry to the event (normally $35). The festival will contribute $50 for each volunteer's efforts. If RASKC meets the goal of 80 volunteers, then the festival will donate $4,000 to the Angel Fund. And we will be the first organization in the event's history to mobilize such a large number of people. Our roster needs to be submitted soon. Please contact volunteer Melissa. Thanks! Come to Furry Faces Foundation's Catsino Sunday, April 8: Volunteers Melissa Blake, Dawn Gerken, and Marie Gerken will be staffing this fundraiser with Foster Care Coordinator Lori Mason and others at the Beveridge Place Pub in West Seattle. Part of the proceeds will benefit RASKC's Angel Fund, which covers the medical expenses of some of our most vulnerable animals. If you are an adult (21+), we hope you'll attend! Seeking two volunters for Green River College Volunteer Fair on Wednesday, April 11, to staff RASKC's booth from 10:30am- 2pm. Lunch provided. You would have the opportunity to engage with many international students. If interested, contact Volunteer Program Manager Sarah L.
Walkie Talkies for Dog Walkers: Remember to carry a Walkie Talking on your shift. It has a range of up to one mile. To initiate contact, press the button on the left side, then say "Volunteer [your name] to any RASKC staff." Release the button to hear the response. New training video on how to mark absences: This three-minute video explains how to update your team's online schedule for when you need to miss a shift. When you mark yourself absent, you create a place in the schedule for other volunteers to fill in. 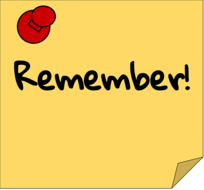 Spring break and summer vacation are coming, so please inform your team's leadership with as much advance notification possible if you will be missing any shifts. Help RASKC celebrate ACO Appreciation Week by writing a "thank you" or heartfelt story to honor our Animal Control Officers and Animal Care Technicians. Colorful sticky notes will be made available in the Volunteer Room in the Cat Adoptions Building for this purpose. Or you may drop off a letter. Or you may send an email to Communications & Community Outreach Administrator LLuvia. These communications will be posted in the lunchroom April 8-14. Cat Meet & Greet @ RASKC/ Kent Contact Team Coordinator Sarah S.
Tuesdays, 12pm- 2pm, train in May for a short-term weekly shift for June only. Social Media Volunteers @ RASKC/ Kent. Preference given to current Dog Walkers, Early Morning Cat Crew, Meet & Greet volunteers, and Shelter Helpers. Open to others. Contact Communications & Community Outreach Administrator LLuvia Ellison-Morales. Dog Team @ RASKC/ Kent (Adults only) Please submit an application only if you are likely to be successful with large dogs with challenging behaviors and if you have a very strong commitment to positive-only dog training. Dog Enrichment @ RASKC/ Kent- Scents, Crafts, and Toys. Apply here. Preference given to volunteers who are pending for the Dog Team 101 class and to “green” or “blue” Dog Walkers. Shelter Helper @ RASKC/ Kent Contact Onboarding Specialist Patty W.
Volunteering @ Home Contact Sarah L.